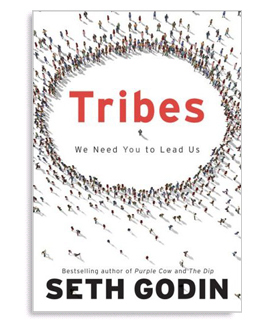 Seth Godin has written a number of books, but the one constantly clamored about among entrepreneurs online is the book Tribes. Godin spoke at the 2011 Leadership Summit and I had the opportunity to pick up a copy of the book. Tribes provides a model for leadership in any situation and organization. Godin spends much of the book talking about how leadership used to be done and how the models used by those that came before us are no longer effective. Godin says that many of us work in jobs that require no thought or any innovation and are essentially factory workers. Businesses that have a standardized business process and don’t have room for innovation and opportunity are on the way out. He specifically points to the newspaper and music industries, which have largely been unable to adapt to the internet age. Godin lays out a different path for leadership, saying that we should be innovative, creative and build a following, regardless of what job we have or what organization we’re apart of. Every leader needs followers and Godin says that to be a successful leader, one should identify and organize his or her followers into a tribe. 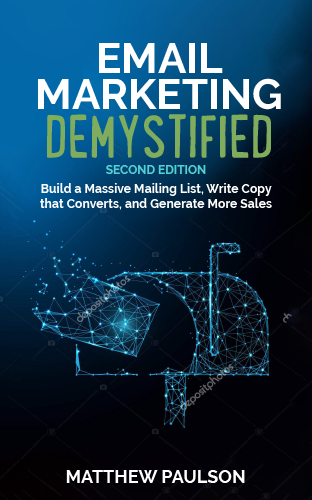 A tribe leader will publish a manifesto and make it easy for your followers to connect with you and your tribe. Leaders of tribes will track their progress, be transparent and understand that the movement is bigger than themselves. He says that your movement should thrive and grow and should be a clear alternative to the status quo. He says that leaders should build their followers up and even exclude those who are not part of their tribe. It’s an interesting model, but doesn’t make a whole lot of sense until you see it in action. Someone who has successfully built a tribe is Izzy Hyman of Izzy Video. He is a professional video editor and has build a tribe of followers around the subject of video editing. He has created a large amount of material for individuals that want to learn video editing to follow. He informs his listeners with free episodes of his podcast and with email and RSS subscriptions. The sign that Hyman is a true tribe leader is that people pay him to see the content he produces. He has a membership site that requires people to pay $147.00 every six months to access his content, and a large number of people do. He hasn’t stated how many people pay, but he and his wife solely live off the income from their business. He’s even broadened his community by starting a podcast to teach other entrepreneurs how to replicate his model through the Foolish Adventure podcast. I believe that the model presented in Tribes is effective if you have the right personality. If you’re great at talking to people and have a strong outgoing personality, you could very easily be a tribe leader if you have the right message and put in the hard work required to gain a following. Being a leader of a tribe isn’t for everyone though, and it’s certainly probably not for me. I have a very successful business that brings in far more than the income from my day job each year, but I’m certainly not a tribe leader. I don’t have a large following of people hanging off my every word, and that’s okay. I know what my strengths are and have made my business a reflection of those strengths. If I were to try to build a tribe, I would probably not be successful for a couple of reasons. I don’t have the stick-to-it-iveness necessary to work on one project for months at a time to build a following and I’m just not that interested in interacting with random people on the Internet. Rather, I believe we in business and in ministry should do what we’re best at and let someone else do what we’re not good at. We shouldn’t try to improve our weaknesses in business and in ministry, but maximize our strengths. If you have the right gifts and personality, building a tribe can be a great way to be successful in business or ministry. If you have different skills and personality traits, you should try to maximize those things, because it’s probably what you were meant to do to begin with. I've heard of this book all over, I'm going to check it out. You can see it in action online, everyone is gradually becoming their own little tribe leader. Just look at the blogging world for instance.